If your project results in a need to rent heavy equipment in metropolitan NYC (Staten Island, Brooklyn or Manhattan) or in Central or Northern NJ, Advanced Site Contractors is the place to call! We offer full day equipment rentals (with driver) or “truck and dump” rental options. Our heavy equipment rental service in NYC and NJ is appropriate for commercial and residential usage in construction, demolition, landscaping, and paving projects. We pride ourselves on offering prompt and reliable service, so whether you are looking for a full day equipment rental with a licensed and experienced driver, or you prefer our truck and dump rental option, you can count on us to provide you with the equipment you need, where and when you need it. 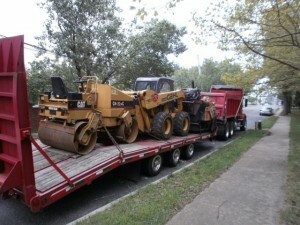 Interested in Heavy Equipment Rentals in NYC and NJ? Contact Us! For more information about our heavy equipment rental service, including pricing, drop off/pick up options and available equipment to rent in Staten Island, Brooklyn, Manhattan, Northern NJ or Central NJ, call us today at (718) 984-7483. You can also contact us by filling out the form on the side of this page and we will get back to you. Serving NYC, Brooklyn, Queens, Staten Island , The Bronx and Northern & Central New Jersey for nearly 25 years. Licensed, Bonded and Insured - All of our work is done in-house "NO SUBCONTRACTORS".